The death toll following the September 28 magnitude 7.5 earthquake and powerful tsunami that struck Indonesia has climbed to 1,407. Local sources believe the actual number is higher than 2,000, with thousands of others injured and hundreds still missing. “The tsunami wave came less than 30 minutes after the quake. The people who were most affected are the poor. 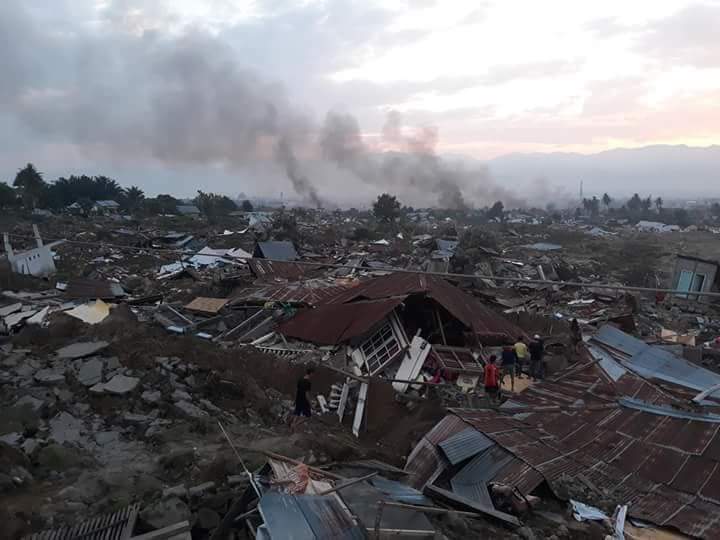 Single room huts with tin roofs were completely wiped out,” said Chris Sheach, World Concern Director of Disaster Response. The region has experienced more than 200 aftershocks. An estimated 60,000 people have been displaced and many are without shelter, water, food, or medical care. World Concern’s partners on the ground are assessing the needs of families responding to the most critical needs, but access to remote, cut-off areas remains challenging. World Concern is a Shoreline-based, Christian global relief and development organization. At World Concern, the solutions we offer, the work we do, creates lasting, sustainable change. Our areas of expertise include disaster response, clean water, education, food security, child protection, microfinance and health.